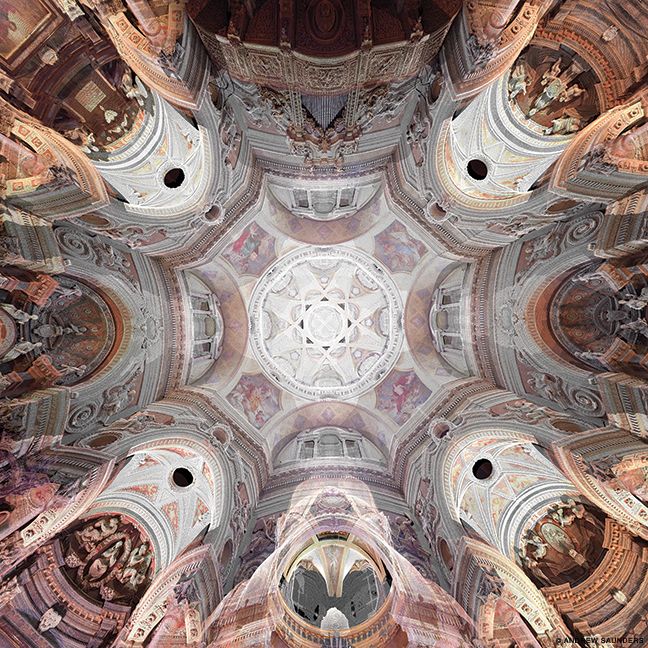 With his high-tech Baroque Topologies project, associate professor of architecture Andrew Saunders is adding new dimensions to the study of Italian Baroque churches. It’s also serious eye candy. 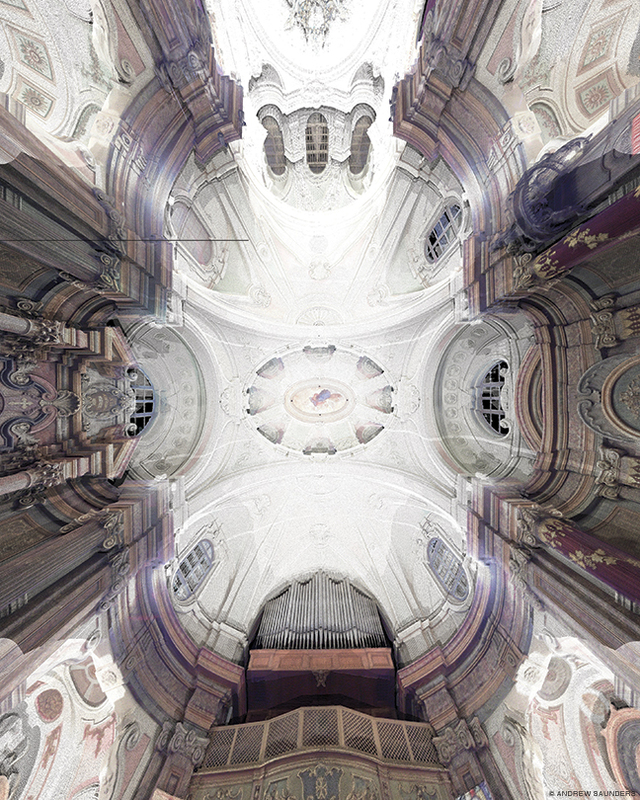 Point view of Guarini’s Church of San Lorenzo, 12 scan locations, 217.34 million points. “I like how the scan allows you to look at ‘the inside from the outside,’” says Saunders. 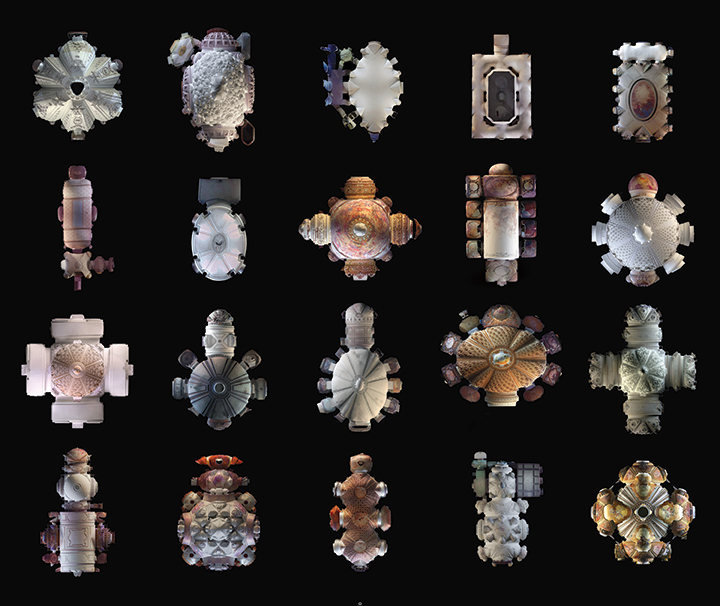 Space may seem infinite, ubiquitous, even timeless. But confine it to the interior of a soaring, wildly complex Baroque structure—say, Guarini’s Church of San Lorenzo in Turin—and it becomes, in the right hands, with the right technology, something else altogether. 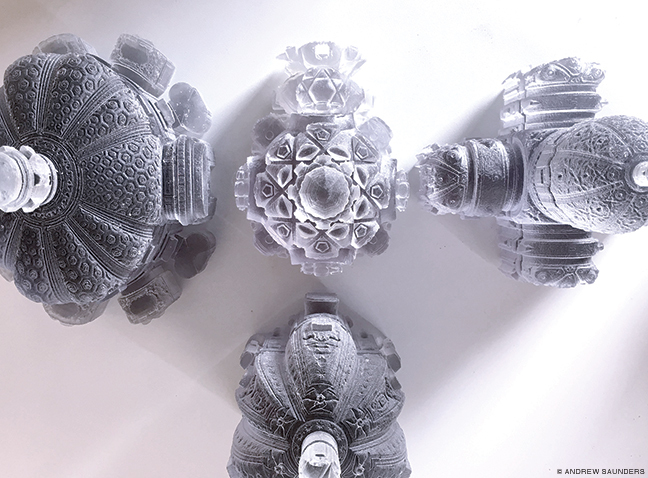 3D photopolymer resin prints of the interiors of Bernini’s Sant’ Andrea al Quirinale, Guarini’s Church of San Lorenzo, Cortona’s Santi Luca e Martina, and Borromini’s Sant’ Ivo alla Sapienza. 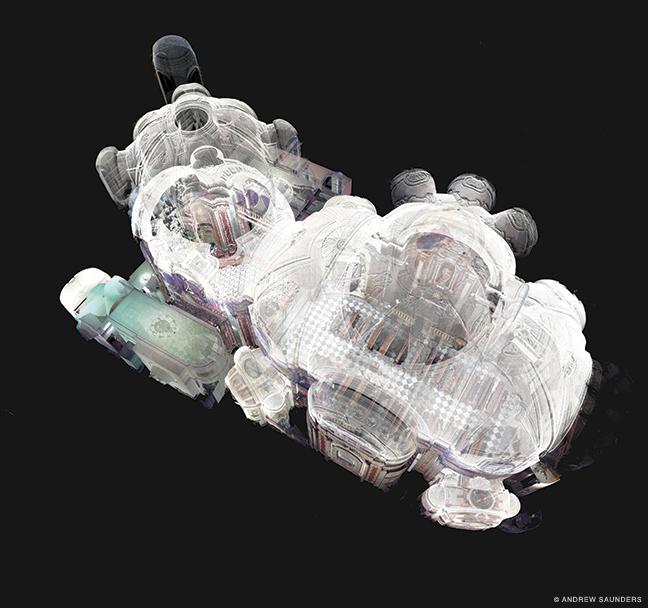 On the computer screen, these digital renderings are protean, morphing at the click of a mouse from solid 3D printouts to ghostly X-rays to a sort of internal death mask. They are also strange and toothsome eye candy. At times, the freshness borders on hallucination. 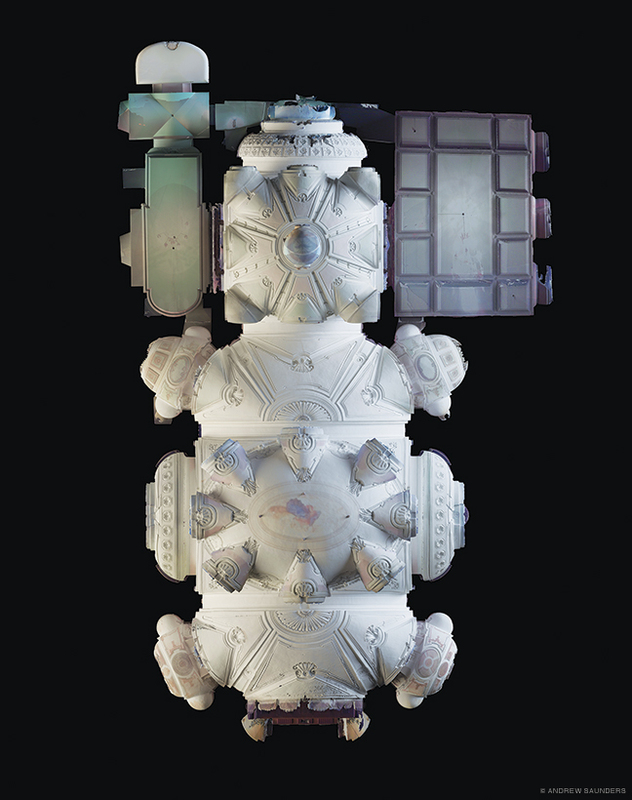 One rendering brings to mind an ornate Japanese robot. Another suggests a rococo decanter. A third, an exquisitely decorated fire hydrant. Vittone’s Church of Santa Maria di Piazza, vaulting of the presbytery. Vaulting of the nave, with ovaloid pendentives, Santa Maria di Piazza. 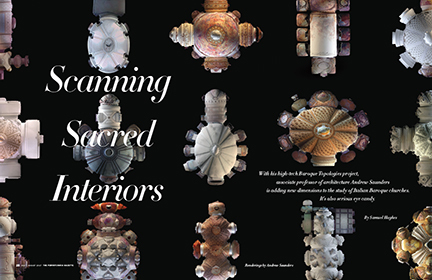 One doesn’t just wander into those venerable edifices and start scanning, though. Permission requires supplicating local and national layers of state and church bureaucracy. “That was one of the most challenging aspects,” he admits. “It started slowly, but then I started to make really good contacts and was able to access quite a few.” By the time he left Rome, he had been able to scan most of its important Baroque churches, apart from those in security-crazed Vatican City. One morning, at the Church of San Giovanni dei Fiorentini in Rome, he made his way into a tiny underground crypt—the Falconiere Crypt—designed by Borromini. 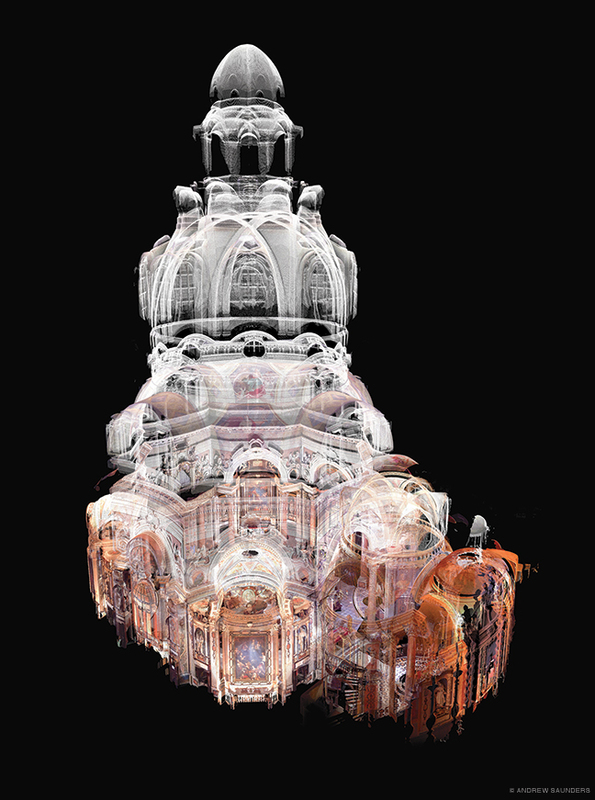 In Cooke-Zamora’s view, the Baroque Topologies project has transformed laser scanning “from a surveying tool to a representational one,” with serious benefits for architecture students. “One thing I saw in some of the work of Andy’s seminar was the possibility to deconstruct the object differently, to understand differently the layers and strata of this kind of activation of space,” says Guido Zuliani. “The work raises the possibility of taking certain moldings or decorations and analyzing them separately from the rest of the building with incredible precision, which will eliminate some of the ambiguities or guessing that is normally done.